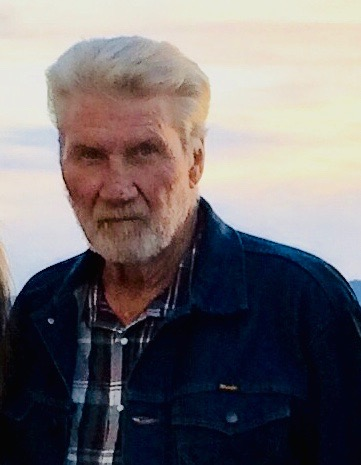 Homer Lloyd Hunter, 74, passed away February 6, 2019, at his home in Monument, Kansas, with his long-time companion and life partner of 35 years, Joyce Nollette at his side. Homer was born in the Little River Hospital in Rice County, Kansas, on September 23, 1944, the son of Joseph W. and Dorothy M. (Stratman) Hunter. He was the 2nd youngest of eight children. Homer graduated from Geneseo High School in 1962, and graduated from Cowley County Community Junior College in 1966 on a basketball scholarship. Homer worked on the family farm and as an oilfield worker as a young man; later working as a foreman for Kruse Dirt Construction in Liberal, Kansas; and then as a large equipment salesman for Sellers Tractor Company. He retired from Logan County as an equipment operator. His retirement years were spent traveling with Joyce in their motor home visiting friends and family, and meticulously maintaining their property in Monument. He was a proud United States Air National Guard veteran and was a member of the American Legion Post #241, Geneseo. He is survived by his companion, Joyce Nollette, Monument, KS; Joyce’s family, son, Tim Nollette and wife Kim of Great Bend, KS; daughter, Gayla (Nollette) McGinnis and husband Mike of Frisco, TX; and their families, Homer’s brother, Wayne Hunter of Lyons, KS; his sisters, Joan Kruse of Liberal, KS, Phyllis Gray and husband Scott of Salina, KS; sister-in-law, Mary Hunter of Augusta, KS; Joyce’s eight grandchildren and three great-grandchildren; and many nieces, nephews, cousins and close friends. He is preceded in death by his parents; two sisters, Estelle Schmidt and Velta Joyce Hunter; two brothers, John Hunter and Clayton Hunter; brother-in-law, Charles Schmidt; and nephew, Charles Warren Schmidt. Funeral service will be 1:30 P.M., Monday, February 11, 2019 at Birzer Funeral Home, Lyons with Pastor Larry Schumacher officiating. Burial will be at Geneseo Cemetery, Geneseo with military honors by the United States Airforce. Visitation will be from 12:30 until service time Monday. Memorials may be given to American Legion Post #241, Geneseo, in care of Birzer Funeral Home, Lyons.